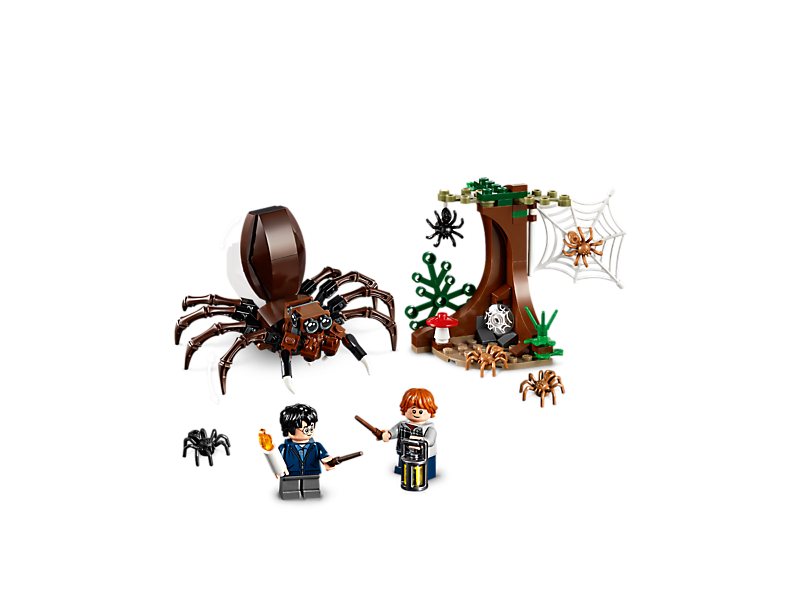 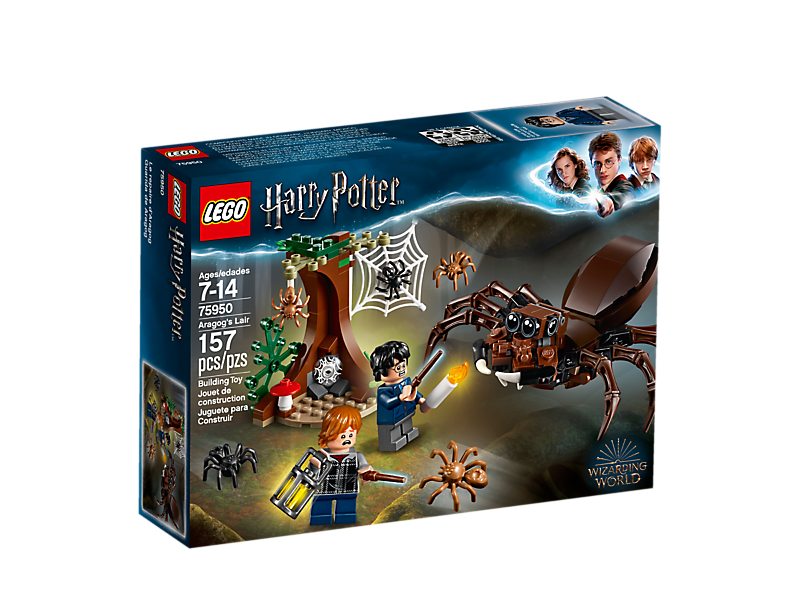 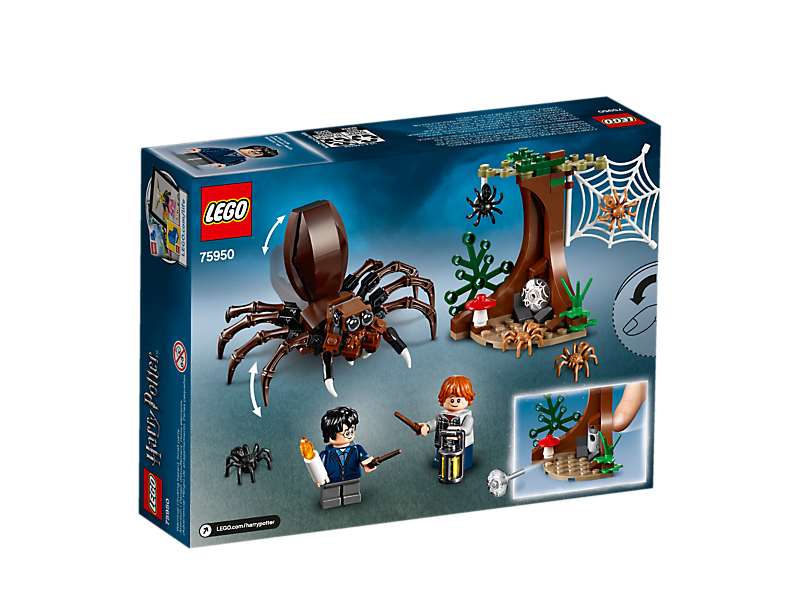 Includes Harry Potter™ and Ron Weasley™ minifigures. Tree measures over 3” (8cm) high, 2” (7cm) wide and 1” (5cm) deep. 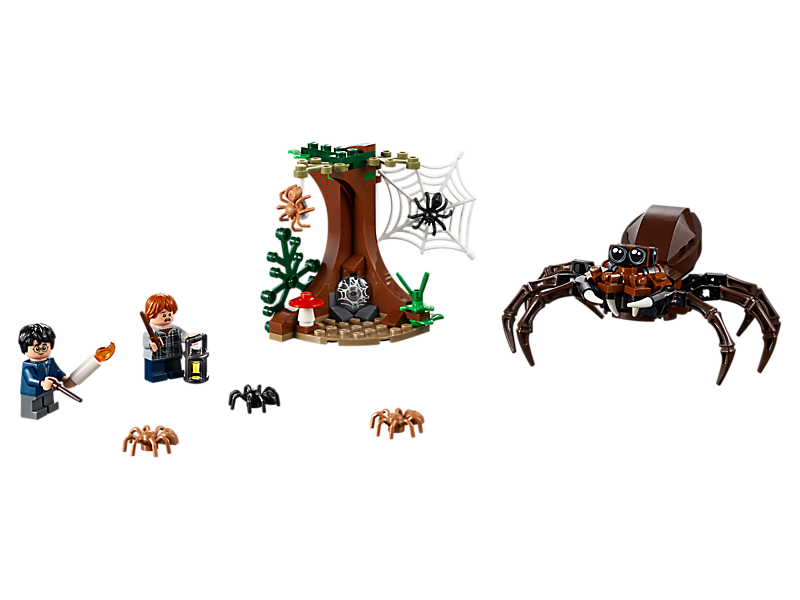 Aragog measures over 1” (4cm) high, 4” (11cm) long and 4” (11cm) wide.